We also have the latest Diagnostic Equipment to reset engine check lights and diagnose engine and transmission faults in All Makes and Models. We have a Tow Truck Service Available if your car is not mobile and can arrange pickup and delivery of your vehicle within the Auckland Area if you can’t get to us so please contact the team for details. 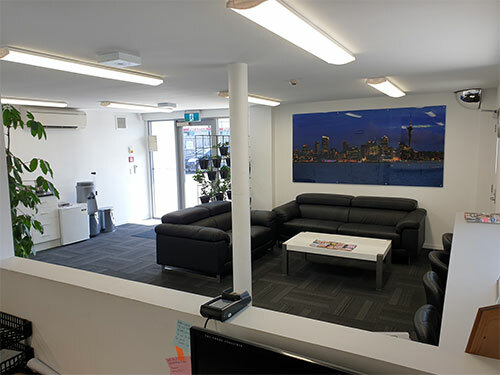 Our Modern and Clean Airconditioned Customer Lounge with Free Wi-Fi Internet, Tea / Coffee and TV for the kids! Choose your preferred date and the date of your last service. Why choose the GVI Workshop? 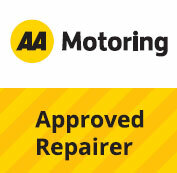 This means that we provided quality workmanship at a fair price, adhere to the AA's repairer specifications and work to a consistently high standard of repair. 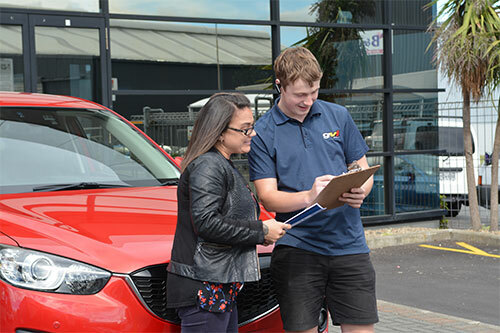 As the largest EV Retailer in New Zealand we have invested heavily in the latest diagnostic equipment enabling us to scan your electric vehicle for faults and reset engine check lights. We can also run a battery diagnostic on your Electric Vehicle giving you “SOH - State of Health” reports and can complete Battery Swaps and repairs. We offer an Annual EV Health and Safety Check and as part of this check we will Rotate your Tyres, Inspect Brake Pads and Suspension Components and give your EV a wash and vacuum! Have your car Serviced and WOF checked while you work! We offer a free pickup and drop off service in the below areas! We will collect your car and then return it to you at work (or home) when the job is completed! You can even mobile pay when your vehicle is dropped off, too easy! Service available in Ellerslie, Penrose, Mt Wellington, Sylvia Park, One Tree Hill, Greenlane, Stonefields, Panmure and Oranga. This means that your vehicle is being worked on by expert mechanics who are familiar with the product, will get things right the first time and not just have a stab and a guess like old Joe down the road who isn't working on late model cars all day every day. This coupled with our unrivalled low labour rates means affordable servicing using quality parts and the latest scanning equipment for all models including European vehicles. We have a late model loan car fleet available for use while your vehicle is being cared for by us to keep you on the move. Exclusive to the GVI service centre we can now offer a "No Deposit Finance Option" on payment so you don't have to put off those necessary repairs and scheduled maintenance, this includes clutches, cam belts, brakes and accessories like alloy wheels! You need it? We have it! And if for some reason we don't we can usually have it here the next day; this includes brakes, tyres and everything from light bulbs to windscreens available to us though our established network of trusted and certified suppliers. This means quick turn around on all our work, so your vehicle is back to you sooner with less waiting and less cost! This also means in most cases we can complete servicing and WOF's while you wait! Warrant of Fitness (WOF) inspections while you wait! We have a full time WOF inspector on site so that means we can check your car while you wait and if any work is required, we can quote and make repairs on site rather than you having to take your vehicle to another workshop. When delivery times allow our team of groomers will wash and vacuum your vehilce so its fresh and clean when you collect it. While you wait, relax in our modern air-conditioned customer lounge and take advantage of our free Wi-Fi or up to date magazine selection and enjoy a cup of tea or coffee! Call the Team Today to make a booking! With Smart Cover Repair Finance we have got you covered! All Vehicle Servicing, All Mechanical Repairs and All Automotive Accessories like Mags and Tyres! Instant On the Spot Approval with low payments to suit! 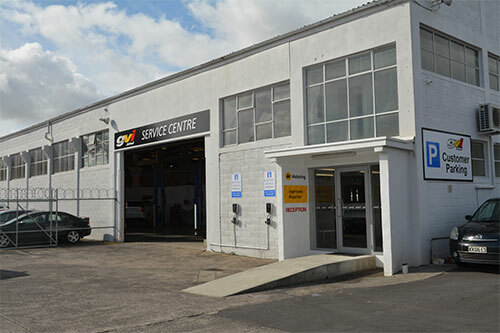 Talk to US TODAY to get Pre-Appoval for your next visit to the GVI Service Centre!